Julie Karsenty, born 16/10/1980 in Aix-en-Provence, France. Graduated in Anglo-Saxon Literature (Master’s Degree) and European Studies (Master’s Degree) Aix-Marseille University. 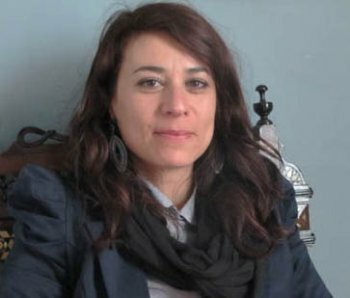 Following various experiences in international projects coordination (cultural heritage and economic development), she joined the Ecole Supérieure d’Art d’Aix-en-Provence in 2008 as international relations coordinator, as well as research development since 2011. She coordinates the students and teachers mobility programmes, from 1st until 3rd cycle, including mobility for studies, artistic workshops abroad, artists’ residencies.. Lecturer for Aix-Marseille University (European Studies Master’s degree) in the field of European cultural programmes.